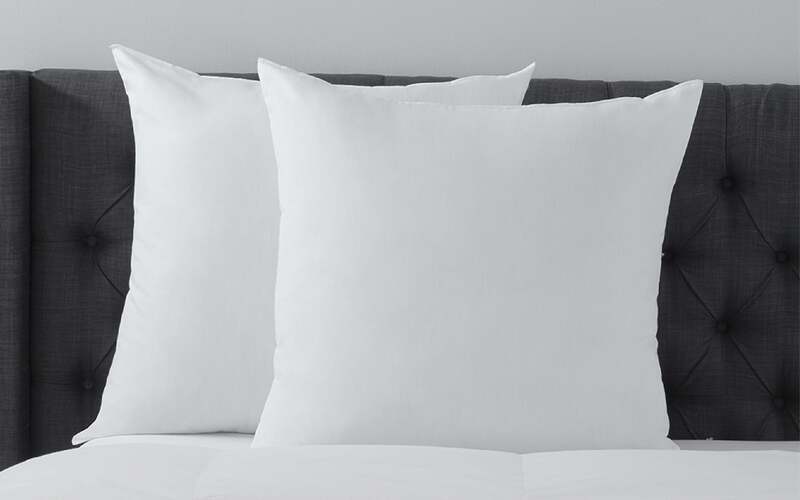 Our Euro Pillows are designed to perfectly fit our Euro Sham. Down Alternative: The medium firmness is great for those that like a full pillow with some give. It is filled with LuxLoft™ Cluster fill. Feather: This is a true 100% feather pillow – as light as air. It has the natural thermal properties that only feathers can offer to prevent temperature shifts.